I look at this photo and my heart grows three sizes. 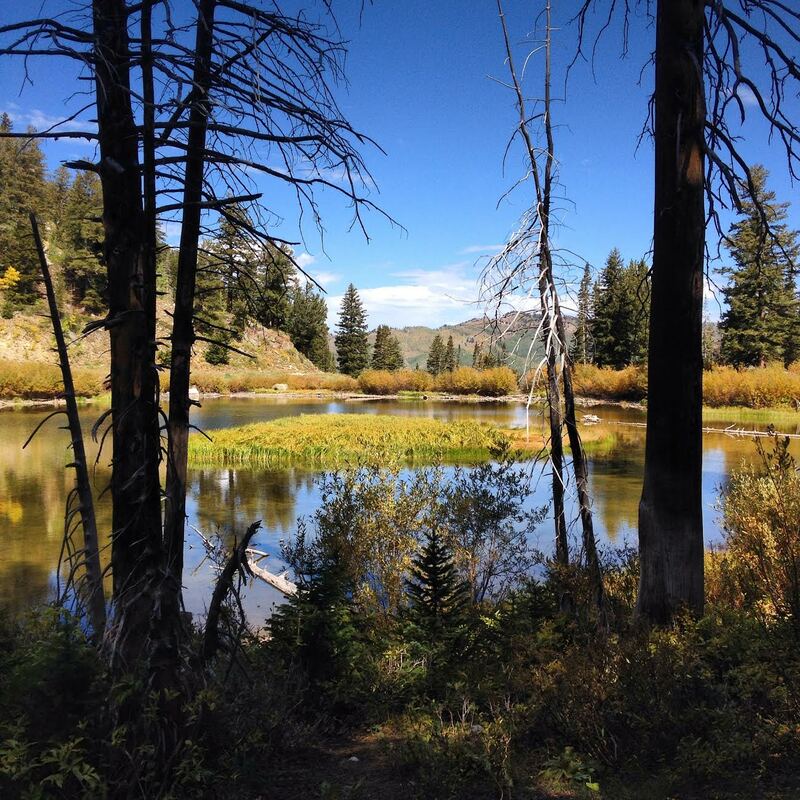 Last September, I had the opportunity to travel to Park City, Utah, where I enjoyed a very active week running, hiking, and biking on and around mountains just starting to show fall color. On Sunday morning, we drove to Solitude, enjoyed a yummy breakfast, and hiked the mountain. Partway up, we discovered a clear, calm, mountain lake and this stunning vista — our reward for the hike. Can’t wait to see how you interpret this challenge. Have fun! This is much easier than last week, and I don’t feel like I have to be in a rush to complete it. Thank you. There’s never a rush! You’re welcome to respond to the challenge as your time allows. Pingbacks remain open. Great photo and theme. So many possible interpretations! Recently visited one of the most beautiful places on Earth: Sikkim in India. Able to visit the place and capturing is one of the greatest reward of my trip! Thanks for this post! Your photograph is so serene. Thanks! It’s a fond memory for me. Very cool theme! This week I am sharing what I have been rewarded with on a visit in Hamburg, Germany. Took this quite literally (unusual for me). Reward = your ‘just desserts’. That’s what I photographed! Thanks for reporting the pingback problem! You’re right — I can find no pingbacks recorded on the seven photo challenges I can see from your blog. Things look good from my end — I can’t replicate the issue you’re seeing when I try posts from Fontfolio, your theme. I’ve asked our developer to take a look into this for you. First of three for this week’s challenge, in Doel, your reward is on the cap.. Indeed! I look forward to a similar reward at the end of my work day, today. Great to see you participating, as usual, Andy! Love the motion effect in this photo. Thank you Krista, it’s always great to be part of this community, great work from you and the team! Reward? Oh, yeah — feast your eyes on this! Jeff Sinon Photography The Reward As Orange Fades To Blue. lucile de godoy It is the Orange King’s Birthday! Ouch!! My back hurts!! Triple Rewards!! SMALL-TOWN GIRLS, MIDNIGHT TRAINS Some girls buy bags, some girls buy train tickets. de monte y mar Reward: Blue prints are here! Through the Lens of my Life Blissful Reward! readsbyredriverbanks V for veggies victory! Osyth Bows and flows of Angels hair …. Perhaps Life Dad you owe me a ride! Pilot Fish Fame? Rewards? No, Thanks. Marsha Lee Reward: What Does It Mean To Me? ColorPalette of Ady Where Home is …. sheryl oben WPC: Reward – Glutton for a Day! sheryl oben Reward: Gluttons for a Day in Eat-aly! La vie est trop courte pour boire du mauvais vin Merci beaucoup! Thank you! Biltong, Braai & Boerewors! Reward! Ouch!! My back hurts!! Reward? ALMOST ITALIAN Musical Rewards. Ponte Vecchio. Curls n Skirls reward: authentic rock buns! KleesButterfly – A TravelBlog My epic ship ride in Budapest. a coffee break with mike Well worth the view! Life in the Foothills Reward – A WordPress Photo Challenge! e-Shibin Sikkim: A photo tour!